This is really small, but should be fixed anyway (as it may hide something else more important). makes the '}' underlined like it was a syntax error. No syntax errors for me, could you please write what error message appears? Screenshot will be appreciated. There is no syntax error - just the '}' that appears underlined like it was an error(?). Was wondering if the glitch is confirmed..? 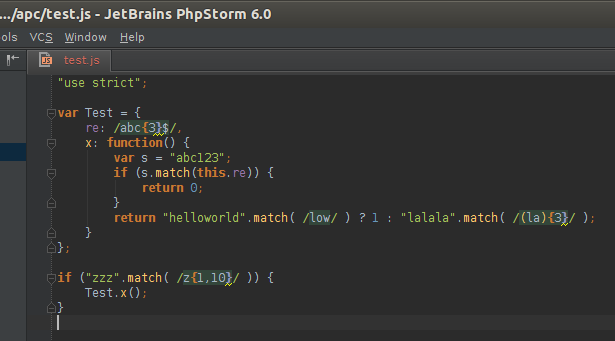 Another small glitch in PHP syntax, this time ... Did a 'switch' using copy paste for the 'default' part (was a 'else'). Then fixed the 'else' => 'default: ' and the statement was 'unreachable code' (I had to retype the line to get the error disappear).